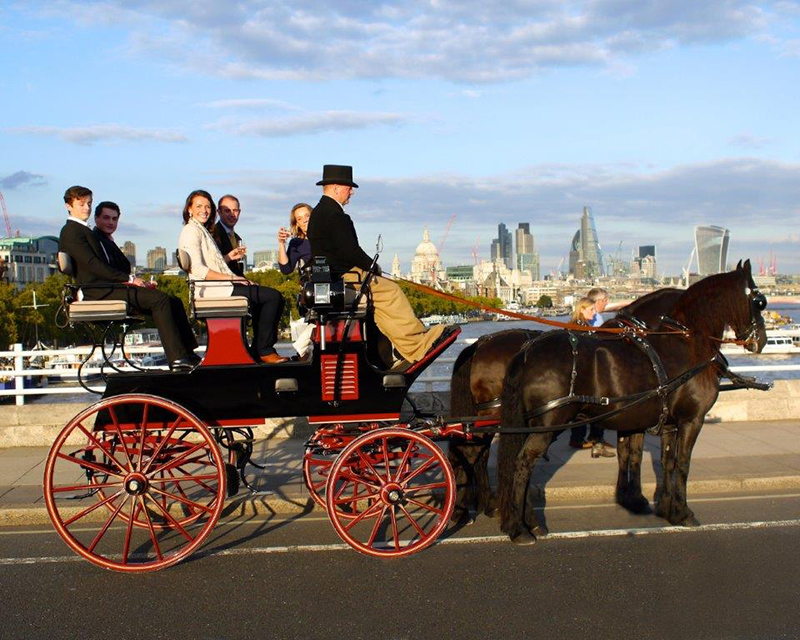 Horse drawn carriage tour of London you can have a romantic experience of a bygone era traveling in one of our horse drawn carriages with family and friends. David West your professional coachman will collect you from your hotel or central London location, your journey then begins traveling at a leisurely pace through the Royal Parks. Stopping on route to view some of London’s fascinating sights for example Buckingham Palace, Trafalgar Square and Westminster cathedral. During the tour you will be able to take some time for a meal or refreshments if you wish or maybe a summertime picnic in Hyde Park whilst your carriage awaits you. On arrival at Harrods you can expect to be greeted by one of the Harrods doormen to welcome you to the most famous department store in the world, where you can enjoy the rest of your day browsing and shopping in luxury surroundings or dine in one in one of the many restaurants and bars. About Westways Carriage Horses and this London Tour. David West your coachman has had the pleasure of working with Harrods for the past twenty years being responsible for their team of carriage horses. In this time his passengers have included Royalty and some of the most famous celebrities in the world from Diana Ross to most recently Lady GaGa. * The route taken can change, and at certain times is dependant on road closures for special events and occasions.